VS Note: Who can resist a new one in this series? Marlene’s not like the other humans. They weep while she smiles. They look at us with fear, while she entices me with a come-hither look. I…have no idea why such a bold female resonated to a male like me. I am the most reticent of all the sa-khui tribe, a hunter that never expected to have a family of my own. But resonance chooses, and it has chosen her for me. And Marlene is quite determined to seduce me…and who can say no to such a woman? VS Note: I’ve been waiting for this one. Nobody does sizzling cyborgs like Cynthia and it’s exciting that she’s doing a spinoff series. Had this on pre-order! VS Note: Once I read the teaser for this latest novel in the series, I couldn’t wait to read it. One click! Vasil has spent his life serving the needs of his people, denying his own desires — until a star falls from the sky. He follows its fiery trail and finds the unexpected: a mysterious human female. She is his chance at having the mate, the family for which he’s longed. But when he discovers her connection to the organization that created and enslaved his ancestors, he must decide if claiming his happiness is worth the risk of exposing the kraken. Stranded on an unknown planet, Theodora Velenti has limited supplies and no way to call for help. Hopeless, the arrival of a half-man, half-octopus alien doesn’t seem like an improvement. But despite his differences, Theo finds herself drawn to him. Giving in to Vasil’s advances means accepting that the life she knew is gone forever. Can she give up a chance of rescue or is what she and Vasil feel for each other real? VS Note: Laurann’s been talking about this new series on Facebook and since I’m a huge fan of hers, I was super eager to get my hands on it! Vivian is a cultural specialist on the United Earth fleet ship Gorison Traveler. It’s the perfect job for someone who wants to learn everything about aliens. The only problem? The commander won’t let her anywhere near the visiting Ke’ters aboard the ship. The only way she gets a peek at the lizard-like race is when her brother opens a live camera feed during a meeting—a meeting that turns tragic when the Ke’ters attack the crew. She’s horrified. Scared. The Ke’ters are murdering her people. Rushing from her quarters to get help from a control center, Vivian finds the station abandoned. It’s all on her to try to rescue the crew. Brassi is a Veslor trader who picks up a distress signal from a nearby space vessel. The attractive female who contacts him looks terrified, and needs his help. He’ll board the Gorison Traveler with his crewmates, and fight the Ke’ters, but the longer he spends on the huge Earth vessel, the greater distraction Vivian becomes. 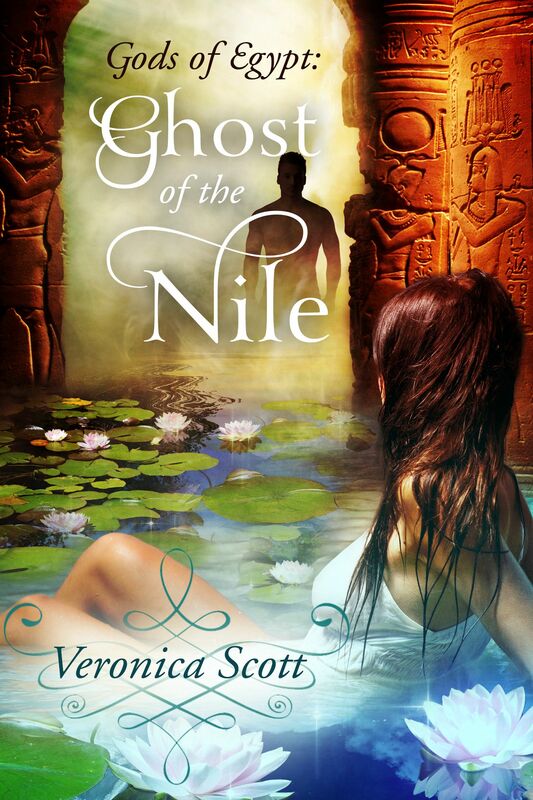 Brassi will do whatever it takes to save her…and to discover if Vivian’s his mate. VS note: I’m continually impressed at how Anna keeps adding new twists and depth to this long running series. Another one click for me! Squad Three berserker Griff lived through hell long before the alien invasion. Once, he’d been a dedicated cop, but then in a gut-wrenching betrayal, he ended up behind bars in a supermax prison. 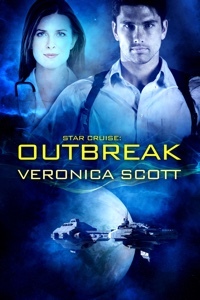 After the aliens invaded, he managed to escape and join the soldiers fighting back…and came face to face with his best friend’s little sister–the bold, vibrant, off-limits woman he’s always wanted. Now the beautiful, tattooed Indy is his squad’s comms officer…and she hates his guts. VS Note: I’ve been enjoying the snippets she’s shared from this book. Nobody does worldbuilding details as well as she does! Sa Vittaran has a problem in his claws. Along with treasures from the ruins, he has retrieved three smooth-skinned foreigners. He cannot leave them to die in the desert. Yet the puny creatures have little value as workers, except perhaps for the impudent woman who claims to be their leader. Her knowledge of the ancient script will be an asset if she can survive the long trek to his house. Out of the frying pan, and into the fire…Andie Munster never expected to leave Earth, but one abduction and six years of servitude later, she knows that life can take a girl places she never meant to go. After a daring escape from a planet that held her hostage for more than half a decade, Andie is having trouble telling if her situation just got worse. She doesn’t think she’s cut out for the life of an outlaw, and with her former rescuer running hot and cold, she isn’t sure that she has any reason to remain with his crew. Prison was the least of his worries…Out of prison and back on his ship things should be going great for Xandr. Instead he’s been stripped of his position as captain, his crew is questioning his decisions, and he can’t keep his eyes off the human he rescued from Ixilta. Demons from his past mean that romance isn’t something he can offer, but every time Andie gets close he can’t think of anything else. When a job comes up that’s too lucrative to miss, Xandr and his crew will risk everything to pull it off. But is Xandr willing to risk the one woman who makes him want more than the life he’s carved out for himself? Meet Kyle Sorton, teen, orphan, living a life of no purpose on a space station. Occupation: janitor. Future prospects: none. His only dream is to be someone. Anyone will do. Wish granted–sort of. An accident aboard his space station forces his flight, and his ship crash lands on an unknown world. Mortally wounded, he uses an experimental healing device called a Clavator to transfer his consciousness to the body of an alien woman. When he awakens, he discovers that this woman not only has special abilities, but that parts of her consciousness still exist. Even more surprising to him is the fact that his new host, named Rinarra, is married to Merat, another woman. She is understandably upset over losing her wife, and initially rejects the new Rinnara. Confusion reigns, and compounding his problem of understanding his new form is the existence of a hostile alien force known as the Droogs. Large, purple, and utterly evil, Droogs care not about any lives other than their own. Kyle, who slowly begins to not only identify as Rinnara but also to fall in love with Merat, decides to fight the invaders. Windeeri has become a home, and she’ll defend it, even at the cost of her own life. Things seem to have settled down among the people of Alta Novis. Normals and Mutah are working together, and families are thriving. The compound is filled to capacity and brimming with new life, but their good fortune can only last for so long. Winter is setting in, and the surrounding countryside is being plagued by unexpected swarms of wild animals. In addition, a horde of rats is contaminating the food supplies and destroying goods, but why? Where are all these creatures coming from? And why is it happening now? It all seems to point to one man – a sorcer who shows up at the compound and demands obedience, or else he’ll bring down a devastating curse upon them all. A curse that threatens to take away all Yulen D’Jacques holds dear. The Battle Lord finds himself at odds between fact and fiction, but he’ll stop at nothing to save his family, as well as his dynasty. But sometimes the real enemy can’t be seen, making it an almost impossible battle to fight, much less win. But another past is waiting for Qasim, and there may be no coming back from this one. Is death his only escape? Kynaston is the prisoner of the Scribes. Forgotten, he is on the edge of taking the ultimate escape. Sorcha is the apple of her daddy’s eye. Including walking in his footsteps of watching the stars. But he wouldn’t be pleased with her choice when she discovers something in the telescope that could change everything. VS Note: I read the Look Inside and the book held my attention, put it on my TBR List. Sirah might be the hot-tempered, unruly girl trying to band together her human army and stop the invaders… but that won’t matter much when the strict alien general, Ronan, gets his hands on her. He’s not supposed to lust for, let alone love any of the Earth women – but the way Sirah looks into his eyes has a way of forcing him to tear down his walls. And for her part, Sirah definitely knows that these aliens are bad news. Yet, she feels herself being pulled in by this virile Alien General’s seductive, unstoppable force. Will he risk it all to tame his headstrong captive? And can she even handle all that he’s got to offer? Called by a fiery dragon, but does he offer freedom or death? Abducted from Earth for her gifts as a healer and seer, Claudia Galrese hears the dragon’s desperate call the moment the alien transport comes within orbit of Prison Moon One. He needs her and she can’t rest until she finds out why. Taken in a hunt they call the Chase, she’s nothing more than a slave, forced to bleed her talents dry for a greedy warlord. When she realises she won’t survive another year in his camp, Claudia risks it all and makes a discovery even her powers didn’t see coming. She’s his only hope of survival, but it might be at the cost of his saviour’s life. After his brave but futile attempt to save the female dragons during the mining wars, General Tharius Dra’Kathis is left clinging to life. With no hope remaining, he’s laid to rest to await death and transition to the Otherworld plains. But after two hundred years, and with his mortal dragon body turned to stone, he still awaits the pleasure of the gods. When they agree he will return, he wonders if they are playing with him yet. One touch of a female dragon’s flesh. That’s all he needs to bring him back. But if the females of his race are all dead, who out there is left with the power to bring this dragon back to life? Christina’s life is going according to plan until she falls off a dumpster and into another dimension. Now she’s being courted by a hunky blue alien. Too bad she can’t understand a word he’s saying! It’s going to take this crafty YouTube star a lot more than thread and a needle to mend the mess she’s gotten herself into . . . and there’s no WiFi so she can’t even look on Google for a tutorial! It’s a wild and dangerous world! As love begins to kindle inside her and her savage rescuer, she can’t help but wonder if she will ever find her way home again . . . or if she even wants to anymore. Can indoor toilets and cell phones compete with passion so hot it threatens to set the sheets, or rather the animal hides, on fire? Is it worth losing everything she had in order to gain everything she’s always wanted? VS Note: Not a romance, kind of dystopian maybe? This is the author of BIRD BOX so it’s a release of note. An explosion in a secret defense lab changes the lives of three men forever. Echo Sloane doesn’t like Detective Rand McClellan’s insistence that her brother caused the Cranesbrook lab explosion. But when her baby is kidnapped and the ransom demanded is her missing brother, she must turn to Rand for help. Danger closes in on them when they encounter another man who lived through the lab explosion. He’s determined to use the power he acquired to destroy anyone–including Rand and Echo–standing in his way. Crime rages in Cardinal City. The fanatical Syndicate’s answer is to be judge, jury and executioner, even if that means destroying half the world to eradicate sin. The only thing standing in their way is a family of fearless vigilantes known as the Deadly Seven. Doctor Grace Go almost died in the blast that killed her parents, and learned a valuable lesson: envy eats nothing but its own heart. So she forged a life filled with purpose and now seeks justice for the survivors. When she crosses paths with a fiercely protective but damaged hero, a desire she thought long gone is ignited. But Grace is wary of risking her brittle heart on a disgraced hero, even if she can’t seem to stay away from him. When a figure from Evan’s past emerges, in league with the Syndicate, their evil scheme threatens to destroy everything Evan holds dear. Pushed to the limits, he will have to pull his family from the brink of oblivion and become the hero the city needs, or will envy drive him to destroy Grace and his only chance at love and redemption forever? An ex-Marine-turned-rock-god thought his group was skyrocketing to off-planet glory. … Notsomuch. At the final sold-out show orbiting Neptune, Kyle is serenading Mercy, his brand-new beautiful wife, the daughter of a Jupiter billionaire … when he is suddenly faced with a deadly choice for him and his new family. The question becomes: Can a rock star save humanity from complete annihilation?Can he and his crew complete their raucous journey as a series of horrific events lead to a shocking revelation that will change humanity forever? And could they be more brilliant, bombastic and bedazzling while they do it? That’s one question we can answer, at least: No. No, they could not. VS Note: I am a HUGE fan of Jeffe’s fantasy romance novels! A Looming Threat – The sorceress Oria has finally come into her own—able to wield the power of her birthright and secure in the marriage she once believed would bring her only misery. But the past she escaped still chases her, and the certainty of war promises to destroy everything she’s fought to have. An Impossible War – Once before Lonen led an army in a desperate attempt to stop the powerfully murderous sorcerers of Bára—and he nearly lost everything. Now he must return to the battlefield that took the lives of so many of his people. Only this time he has more to risk than ever. The Final Conflict – With guile, determination—and unexpected allies—Oria and Lonen return to the place where it all began… and only hope that it won’t also be the end of them. I’m not supposed to be alive. But I am. Living and breathing. I thought it would be the worst thing that could happen to me. I was wrong. Now I’m immortally bound to serve the whims of a fairy queen. When a white dragon lays siege to the fairy queen, I know he’s my chance to escape, but this insanely sculpted rock of a man – I mean dragonshifter – has other plans for me. If I help him get his revenge, he’ll grant me what I want; an end to this life of servitude. But his smoldering eyes, his heated touch, and the curve of his dangerous smile, makes me question. No, there are some things I know, I was never ever meant to have. Even if I wish it were otherwise. It’s the question of the century. Perhaps even the millennium. Because the Hermessi are growing dangerously close to completing their catastrophic ritual, and if Death can’t stop them, no one will. GASP has heard she’s holed herself up on a far-flung planet called Mortis, but finding it — and her — will prove to be only the first challenge in gaining her favor, as Taeral and his team will soon discover. Elva was once a faerie princess, bound to the Seelie King and renowned throughout the land. Until that was all stripped from her in a single moment. Now, she has recreated herself as a warrior woman. Fierce and strong, she is sent to the Ice Mountain where a beast reigns. Watch him, kill him if necessary, but do not fall in love. Donnacha was once a dwarven noble, until the Troll Queen saw him. She curses him into the form of a bear. The only way to break the curse is to marry her daughter. But when a certain faerie princess enters the picture, he realizes there might be another way to free him. Determined to hate each other, they quickly realize there’s more to people than just appearances. When the Troll Queen steals him away, breaking her part of the deal, Elva must follow the bear she fell in love with east of the sun and west of the moon. To save him, she would give up everything. For two years Adalyn Kabos has avoided death. Among the gifted, she’s different, and a powerful man knows this. As Adalyn uses her Seer gift to stay ahead of her enemies, she runs into the arms of four men. While she should rejoice that they’re more than willing to help, there’s only one problem. Now it’s a race against Fate as Adalyn pushes her gift further. Will she be able to prevent the deaths of her new friends, or will all of them fall victim to those filled with greed? Evil Overlord in training? Check. Successfully hidden the true depths of her powers for four years so no one kills her? Check. Graduating at the top of her class from the Evil Overlord Academy so she can acquire her castle? …Uncertain. And Mercury loathes uncertainty. If that smarmy git Deviran beats her for first place, Mercury needs to rethink her plans. Because the Tumul Tuos castle belongs to her. No matter what it takes to convince everyone else. When a pack of werewolves move into her hometown of Peculiar, Missouri, good girl Dakota Thompson finds bad-boy werewolf Cal Rivers irresistible. The problem? She’s a deer shifter. Who ever heard of a prey animal falling for a predator? Good girls avoid bad boys. Right? After a full moon, when everyone in town shifts and spends the night in their animal forms, Dakota wakes up next to the dead, mutilated body of her ex. The tense situation between the werewolves and the town’s shifters go from precarious to catastrophic as Cal becomes one of the prime suspects in the murder. Together, Dakota and Cal work to find the real murderer to prevent an all-out war between predators and prey. Unfortunately, the killer isn’t done yet. VS Note: Author’s note says some of these stories are re-releases from an older pen name, with additional material added. See note on ebook seller page. From February. Touch Me, Please Me – Novelist, Cedric Compton is in the town of Mystic for one purpose only—to meet his second extended deadline. The key to making that happen is completing his research on the myth of the Desirable Witches. But when he knocks on the door of one of the reputed witches and the beautiful Sahara answers, the last thing on Cedric’s mind is work. Tease Me, Take Me – Kitaka “Kit” Valentine is a Desirable witch with the power of vision. When she receives a premonition of danger that warns “they will come in twos,” she’s ready to act. She had no way of knowing that the two she hunted would introduce her to the two that would be her salvation. Teach Me, Love Me – Melody McCain is about to learn she cannot run from her destiny—whether that’s acknowledging she’s part of a powerful group of witches, or accepting that she’s part of a relationship more passionate and rewarding than she could have ever imagined. Get a degree and get the hell out of Gypsum Creek. Natalie has muttered those words most of her young life, and now she’s finally going to leave this town in the dust of her squealing tires. She. Can’t. Wait. But first, she has to renovate a crumbling old shop and get enough cash to move onto bigger and better things. Dillion would love to start a new life, but that’s impossible on the run. Gypsum Creek might be the perfect sanctuary to disappear for a while, but a man like him can’t put down roots, or risk falling in love. Nothing good could come of it. Cora is a girl who likes simple pleasures, reading her books and swimming in the local Michigan lakes. She has no idea who she really is. She falls hard for Jett, there’s just one problem. Jett is a guardian of the Halcyon mer-tribe. His job is to find a Lunafriya. A magical mermaid warrior. He thinks he’s found one…Cora. She has no idea what she really is. Now he has to tell her a secret her father never told her. She is a mermaid! Suspended for political reasons Agatha and her team have returned to her home to rest and recuperate. But still another war looms on the horizon. The Draconic Empire is making it’s move towards earth. They’ve worked behind the scenes to disrupt any and all that stand before them. But Agatha is still alive and she and the Blackmore Coven are prepared. Whatever comes through the Garden Gate will trigger a war. Is America and Earth ready for it? As the Alpha of Nox Bay, Markus is bound by duty to protect his land and his people. So when a thieving fox appears in their territory, it’s his job to punish him. Except…this fox is different than the others. He smells suspiciously like Markus’s fated mate. But can true love blossom between sworn enemies? When Felix’s crime family come to reclaim their ‘investment’, both men must make a choice. A choice that will set both their futures in motion—and the future of the little one growing inside Felix. ll my life I’ve been told I need to stay inside, stay protected. As an omega polar bear, i’m an object of lust to shifter men, and the outside world is not safe. When my pack’s alpha claims he has imprinted on me, I know it’s a lie. I know the outside world is the only one I can trust. Even if I get kidnapped, and delivered to the doorstep of the infamous Hell’s Bears MC. All Jade wanted was her own happily ever after. Unfortunately, it’s never that easy. Being a woman and a mage complicates things. Falling for three men at the same time? At least that’s working out. And it’s all the Spider’s fault. That man just can’t help himself. He wants power, and Xel is the best source he’s ever found. To fuel his own addiction, the Spider will destroy everything in his path – including the quiet little village of pirates and whores that Jade has claimed as her own. But everyone has a price. For Jade and her men, it’s the people they care about. For the first time, they’ve found a family, and the Spider wants to destroy that too. After all, his goal is pain. He doesn’t even care whose. The only way to stop this is to go for the source. If the Sultan is this desperate to have his mage wars, then she’ll play. After all, Jade has mastered the one weapon these men won’t even consider. Love – it cuts both ways. From one master to the next, she hasn’t known kindness since her parents were alive, and even then, she never belonged to herself. When a handsome werewolf saves her from the fighting pits, Ariana’s life is turned upside down. Thrown into a brand new world, Ariana discovers she’s not only a wolf, but the Silver Shifter, a being born every hundred years, and she’s supposed to be the last. But her hot new alpha is hiding more than he’s telling, including the alphas of the other New York packs. Wolves. Dragons. Bears. Panthers. Each pack is holding back a secret from her, like why Ariana feels an unnatural pull to each. No one screws with my family. My sister and I are human orphans raised by the world’s best assassin, taught to steal and kill our way through the dragonlands under her watchful eye. Grown men fear us, and no one knows we’re coming until it’s too late to run. Irena and I—we’re good. The best. In a dog-eat-dragon kind of world, we have to be. But someone betrayed us. Someone we trusted with our lives. Irena is missing. My mentor is gone. And as for me… the man responsible for this mess thought he killed me. He kicked me into a pit, and he left me to die. But I don’t give up that easy. In the darkness, facing death itself, I fused with dragons. I had no choice. This is ancient magic, and dangerous people want it. They want me, dead or alive, and they’ll start a war if that’s what it takes to control me. The magic I discovered—the magic these brutal people want—it’s mine, plain and simple. No one can take it from me. And I’m coming back from the dead. All Kinsey wants is a steady relationship with a decent man who will love her and treat her right. It seems an impossible goal. After getting dumped via a Post-it note, she’s fed up with her love life and ready to swear off men forever. While drowning her sorrows at the local bar, Kinsey accidentally sells her soul for a forever relationship and ends up in the Netherworld with the three lords of the afterlife. Tall, blond and handsome has been tailing her for months. But born a warlock and trained by a demon, Beth Roark isn’t a woman to be put off her game by a pretty face, not even when he almost catches her on her last job, the last job, the one that will fund her retirement from a life of crime. One soul-stealing kiss and she’s gone, but he’s not that easy to get rid of. And neither are the bully-boy wolves who first hired her to steal for them and now want her head on a platter. She’s mysterious, beautiful and a professional thief. Werelion Alex Sullivan is the best at what he does, tracking people who don’t want to be found, but even with his skills, bringing in infamous antiquities thief ‘The Cat’ is proving to be somewhat difficult. She’s as good at not being caught as he is at catching people. When he gets the drop on her, he realizes why. She’s a magic user. And his mate. Just one problem, the people who own the artefact she just stole want it back… and her dead. He needs to find her before they do, or risk losing his mate before he can make her his. VS Note: Not a romance but a release of note. Barely escaping death after her last battle against the General, Rikki Diamond spent the past five months in a coma. Five months of pain, despair, darkness, and most of all… anger. Now that she’s finally returned to the land of the living, she has an uncontrollable rage building inside of her, urging her wolf to take over. Feeling abandoned by her mate when she needed him most, Rikki must fight to keep her emotions in check. A battle she is beginning to feel she will lose. Her mate… her team… no one is safe. After the General’s men got to his mate, Jeremiah Black decided he was finished watching from the outside and took matters into his own hands. Having gone undercover while his mate lay in a hospital bed, he began working his way up in the ranks, getting deeper and deeper into the General’s organization. He has one goal in mind, and not even the changing circumstances will keep him from completing his mission; destroying the General’s entire organization, even if he has to pick them off one by one. The tides are changing with the shift of power. Will Rikki and Jeremiah be able to make it out alive? Or will Jeremiah walk into a trap on his first solo mission, leaving Rikki to the anger raging inside of her? Like a homing beacon, Audrey’s very soul reaches out for the man who broke her trust but still holds her heart — Michael, who fears that even if he reaches her in time, their fight with this particular demon has only just begun. Zac takes one look and knows he has to have Tashi. He’s spent a lifetime turning away from his dark side; now he’s ready to capture this little free-spirited hedonist living her life in wild abandon. Feisty and fearless, she belongs to no one. Zac is determined to make Tashi his, regardless of the cost. Tashi and Zac face three different enemies, each resolved to steal away or destroy the town’s magical residents. In a battle of wits, unusual spells, and bewitching ingenuity, Tashi and Zac’s future together depends on the resilience of love in a world out of kilter. They take their stand against allies once considered friends, a cruel alien race bent on their enslavement, and a vengeful Djinn with a god complex. When Mountain catches the human he’s been tracking, his excitement turns instantly to shock. She’s not who he thought she would be. Not even close. She’s not even one of the females taking part in the hunt. This female is something else entirely. He needs to get her back to his lair for questioning. His people will be interested in all she has to say. At least, that would be the logical, responsible thing to do. Only, he’s not feeling particularly logical at the moment. Not when looking into her blue eyes, or taking in her curvy body. Nope! Screw being responsible! He’s going to try and win her. The only problem is, this particular female isn’t looking for a mate. His superiors won’t be happy with his choice either, but he’s going for it anyway. Happy Release Day! (tackle hugs) Thank you so much for mentioning Choosing Chuckles! Congrats on your new release, Veronica! Got my copy. Can’t wait to read.